Image caption Google says search advertisements are just "one of many options for advertisers"
Internet giant Google holds a dominant position in the online advertising market linked to search engines, a French competition watchdog has said. But the Autorite de la Concurrence regulator said Google would only face sanctions if it abused this power. "Only the abusive exercise of such market power could be sanctioned," the anti-trust regulator said. Google said search advertisements were just "one of many options for advertisers". "If the price of search ads rises, advertisers can and do switch to other formats, both online and offline," Google added. "That is the sign of a competitive and dynamic industry." But the regulator also said there were "possible operational abuses, whereby the search engine apparently imposes exorbitant conditions on its partners or customers, treats them in a discriminatory manner or refuses to guarantee a minimum degree of transparency in the contractual relations that it establishes with them". However, the Autorite said it made no ruling as to the legality of such practices "that would merit, in order to be pursued, often long and complex investigations". The Autorite de la Concurrence's comments follows a French economy ministry request that competition in the online advertising sector be examined. The regulator said: "This dominant position is not reprehensible: it results from a great deal of innovation, supported by significant and continuous investments," adding that competition law limited Google's actions. According to research from Strategy Analytics, Google's share of the $16.4bn global online advertising market rose to 43% in the third quarter from 42% in the previous period. Yahoo is in second place, with 8.7% of the market, and Microsoft third with 3.2%. Last month, the European Commission launched an investigation into Google after other search engines complained that the firm had abused its dominant position. The Commission will examine whether the world's largest search engine penalised competing services in its results. The probe follows complaints by firms including price comparison site Foundem and legal search engine ejustice.fr. 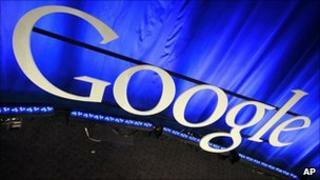 Google denies the allegations but said it would work with the Commission to "address any concerns".